In today’s scientist spotlight post, we will learn about French-Canadian microbiologist Felix d’Herelle. He was born in Paris, France on April 25, 1873. d’Herelle attended school in Paris, completing only a high school education, and was therefore self-taught in the sciences where he would make his discoveries. This is quite remarkable given that access to information at the time was obviously nothing like today. At the age of 24, d’Herelle and his family moved to Montreal, Canada, where he continued self-learning microbiology by reading books, and he consequently set up a home-built laboratory where he would conduct his experiments. d’Herelle was commissioned by the Canadian government to study the fermentation and distillation of maple syrup, which was an interesting similarity between him and his idol Louis Pasteur, who also had his scientific beginnings in studying fermentation. Throughout most of his life, d’Herelle travelled extensively, sometimes being described as a vagabond scholar. In doing so, he built a name for himself in the scientific community through the projects he carried out in places like Argentina, Indochina, and Mexico. d’Herelles’ most notable achievement began with the discovery of the bacteriophage in 1917, when he announced the discovery of “an invisible, antagonistic microbe of the dysentery bacillus”. If you have been taking Minute School’s microbiology micro-course you will know that a bacteriophage is simply any virus that infects bacteria. 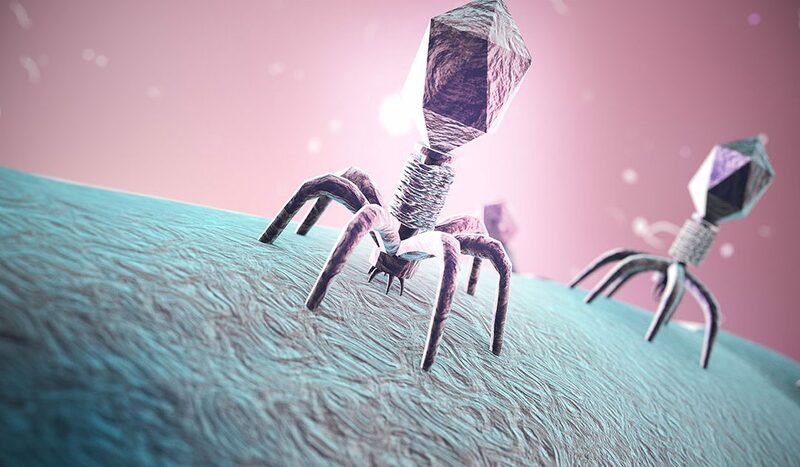 The discovery of these viruses led d’Herelle to develop phage therapy, which is essentially the use of bacteriophages in the treatment of bacterial infections, where the infected individual is often given a phage ‘cocktail’, and from then on the viruses do the work, replicating and destroying the bacteria. Phage therapy boomed around the time of World War II, especially because of its use by the military, however, its results were not always consistent given that not much was known about the bacteriophage. The discovery of penicillin ushered in the golden age of antibiotics, which greatly overshadowed phage therapy. But with the dominance of antibiotics seemingly wavering with the rise of antibiotic resistance, there has been renewed interest in phage therapy, which sounds like a promising alternative. For his many achievements, d’Hérelle was nominated for the Nobel Prize at least twenty times throughout his life, but never received the award. He did however receive the prestigious Leeuwenhoek Medal for his contributions to microbiology.